Bionaire is an American company that has been producing home appliances to improve quality of life for decades. Bionaire prices its appliances competitively and they do the job without trying to be fancy. Functional is probably a good way to describe Bionaire’s products. The Bionaire BAP600HBK (and the similar BAP600HWH which is available in white) continues this tradition. Air purifiers are expensive, although the overall prices in India have been coming down in recent years. 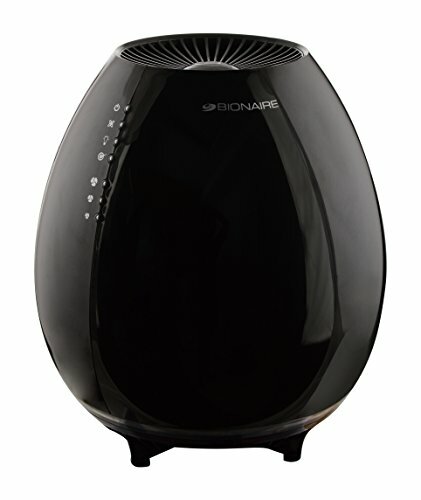 Costing just Rs 5,000 on Amazon, Bionaire is offering one of the most affordable air purifiers on the market, but is it too good to be true or does it actually perform the same job that more expensive appliances do? Let’s find out. This video comes from the UK so excuse the poor quality and British accent. The review is for the white model, which is slightly more expensive than the black colour, but there is no difference in features. Compared to past Bionaire air purifiers, the BAP600 is a big leap forward in design. The older, tower models just looked cheap, whereas this egg shaped model looks like some thought went into how the appliance would affect the room decor. At 24 cm in diameter at the fattest point, the BAP600 is wider than many other air purifiers in the market. However, its height of 27.5 cm means it’s one of the smallest. When it’s sitting in your room, it’s certainly not going to dominate your vision like some of the more expensive and larger models (which is why aesthetics becomes so important on those bigger air purifiers). The unit is controlled by a series of small buttons running down the left side of the body. These buttons control the fan speed, light, ionizer, as well as switch the unit on and off. An LED indicator informs you about the health of the filter and alerts you when it needs to be changed. It’s a small touch but very useful. Unlike more expensive air purifiers, there are no LED indicators that tell you the current air quality and concentration of PM2.5 particles. Unsurprisingly, this small air purifier has a small coverage area. The unit draws 33 watts of power for the fan and that gives it a room coverage of 113 square feet. That’s about the size of a small bedroom or small home office. It’s probably not suitable for a living room. However, with a weight of just 2.3kg, it’s certainly light enough to be moved from room to room. The low CADR means that you’ll need to keep this unit running almost constantly, especially in polluted cities like Delhi, Mumbai and Kolkata. The rate at which it cleans the air means that it can just about manage to keep up with the rate at which the air in your home becomes polluted with PM2.5 particles again. In extreme air pollution like what Delhi witnesses during the winter, we doubt whether this unit will even be able to keep up. Running the BAP600 air purifier is very economical. On the fastest fan speed, the unit draws just 33 watts of power – about what your tube light will use. 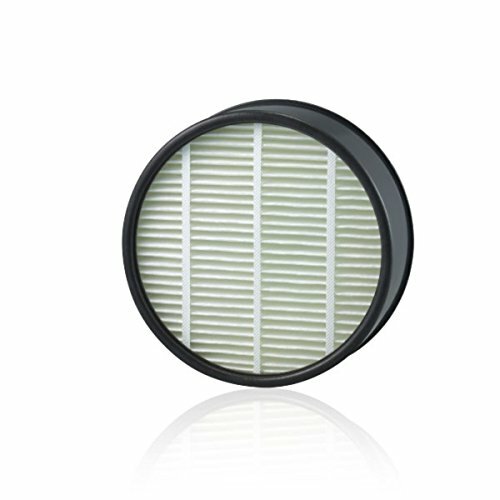 The filters are also fairly cheap compared to more expensive air purifiers. In part, this is because they are much smaller and the air purifier is designed to be used in much smaller rooms. You can pick up the replacement filters for around Rs 500 from Amazon. 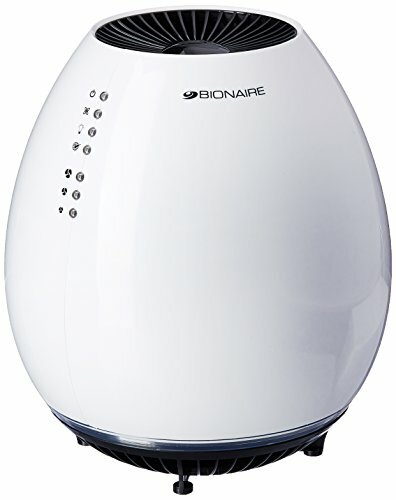 For people living in less polluted cities who want a economical air purifier for their small bedroom or home study, you can’t go far wrong with the Bionaire BAP600. However, for larger rooms and for cities that have quite a bad air pollution problem, the BAP600 just won’t cut it – it won’t improve your quality of life. Consider the Mi Air Purifier 2 or the Philips AC1215 air purifier for larger rooms in the big cities.